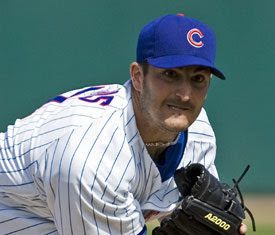 As much as you hate him, trading Marquis was probably the downfall of the Cubs 2009 season. During his Major League career, he has always played on teams (Braves, Cardinals, Cubs) that have reached the playoffs. While Colorado is in the Wild Card race and Marquis was an All Star this year, the Cubs are again waiting till next year. Well, that's my theory. What's your off-the-wall theory on why the Cubs sucked so bad this year?